Further to my post about Shah Yousuf last week, I’ve now spoken to the court authorities and here are some more details about his two appearances. He appeared last Monday at City of Westminster Magistrates’ Court and again four days later on Friday. 1. Making false or unauthorised [statements] or service declaration at election. 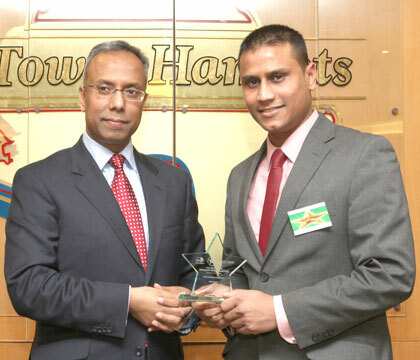 Between the 15th October and the 21 October 2010, ShahYousuf, Editor of the London Bangla newspaper did publish a false statement before an election in relation to the personal character and conduct of Helal Abbas, the Candidate for the Tower Hamlets Mayoural Election, for the purpose of affecting the return of any candidate at the election. 2. Making false or unauthorised [statements] or service declaration at election. Between the 15th October and the 21 October 2010, Shah Yousuf, Editor of the London Bangla newspaper did publish material which could reasonably be regarded as intended to promote or procure the election of a candidate at an election (whether or not it can be so regarded as intended to achieve any onther purpose as well) being an advertisement contained in a newspaper the London Bangla, failed to imprint the relevant details, being name and address of the printer of the document. Shah Yousuf, who ran the London Bangla newspaper, printed a story allegedly containing lies about Helal Abbas, who stood as a candidate in the Tower Hamlets Mayoral Election last year. The article, published between October 15 and 21 last year – just days before the vote – is said to have blasted the personal character and conduct of Mr Abbas, who was representing the Labour party. Mr Abbas lost out on the title to Lutfur Rahman, a former Tower Hamlets council leader who stood as an independent – winning the backing of London mayoral candidate, Ken Livingstone – after being dropped by Labour. Yousuf, 33, of Pauline House, Old Montague Road, Tower Hamlets, is also accused of printing an advert to promote another election candidate, Westminster Magistrates’ Court heard. Smartly dressed in a grey suit and white shirt, he spoke only to confirm his name, age and address. The District Judge was Simon Barron. Yousuf’s barrister is Nicola Margiotta, and the Crown Prosecutor was Rosemary Fernandes. On Friday, Yousuf pleaded not guilty and a trial at Westminster Magistrates’ Court was set for April 3 next year. Before that, there will be a case management hearing on December 8. 106 False statements as to candidates. This case, which relates to this advert, has potentially extremely serious implications for both Tower Hamlets politics and also, by extension, Ken Livingstone given that the trial is due to take place a month before May’s London mayoral polls.